A truly competent tailor should interview you, rather than the other way around. He should ask you questions about your lifestyle and what sort of person you are. What career have you chosen and what are your short- and long-term goals? What kind of office environment do you work in, with what sort of dress code? What image do you wish to project about yourself- today and in the future? A tailor worthy of your trust should ask these questions because he or she should be more interested in you, and working together to achieve a style that works for you, than the size of your wallet. Finally, a prospective tailor should determine if it's really necessary to make you a true custom garment. Are you difficult to fit? Can he make some minor alterations through a vendor's made-to-measure program before suggesting the time and expense of true custom? 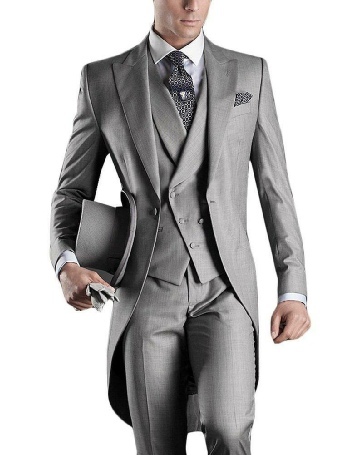 If you've agreed that money is no object, then your tailor is free to work with you on selecting fabric, cut, and style that will make your clothing a true work of art that will stand the test of time. 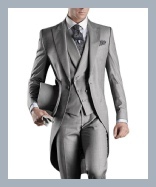 In reality most men, even if they're difficult to fit, can buy off-the-rack or made-to-measure tailored clothing. 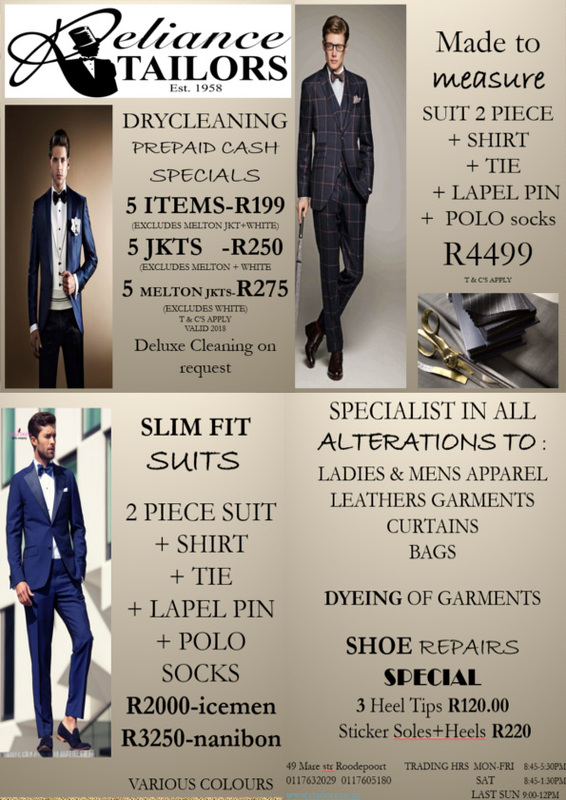 Reliance Tailors, a family business, was established in 1958 by Laloo Vanmali (Grandfather) who operated a tailoring business at 1A Station Site, Roodepoort. Today the business is situated on the cnr of Mare and Handel Street, Roodepoort, Gauteng.